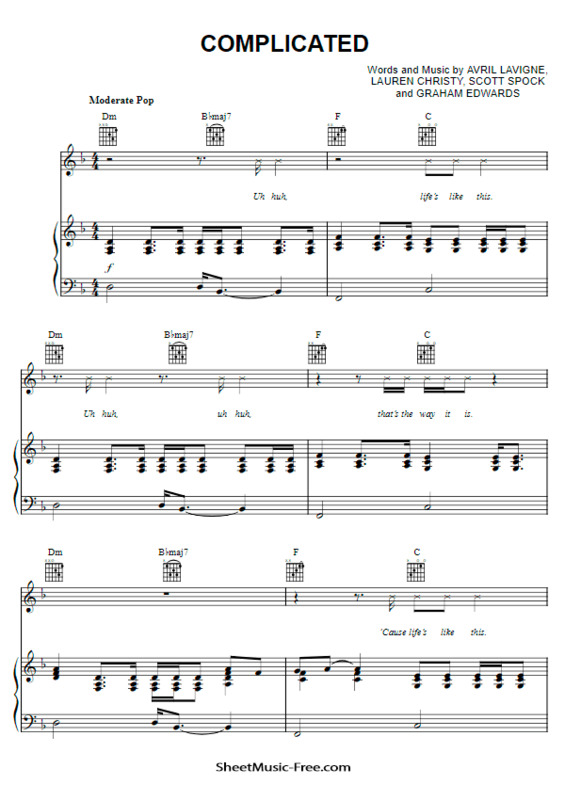 “Complicated Sheet Music” by Avril Lavigne, “ Complicated Sheet Music” for Piano / Vocal/ guitar chords , Original key: D Minor, number of pages sheet music PDF: 6, Video and Lyrics song Complicated Sheet Music. Complicated Sheet Music Avril Lavigne. Uh huh, uh huh that’s the way it isChill out, what you yellin’ for? Tell meWhy do you have to go and make things so complicated?